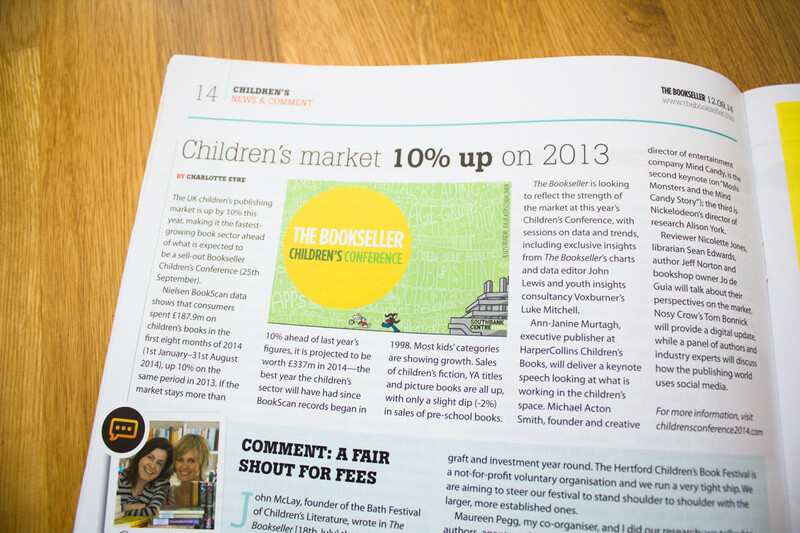 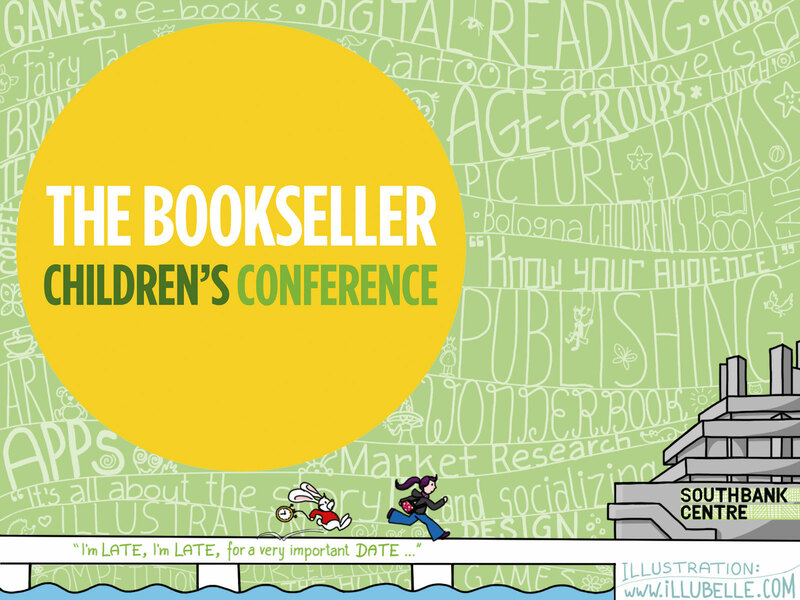 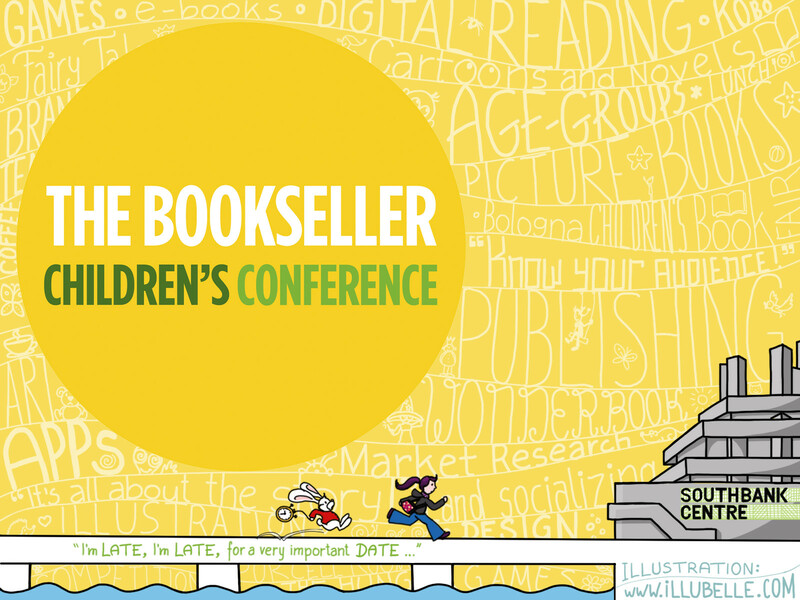 I'm very proud to say, that “The Bookseller” (London) asked me to use one of my illustrations for their Children's Conference 2014! 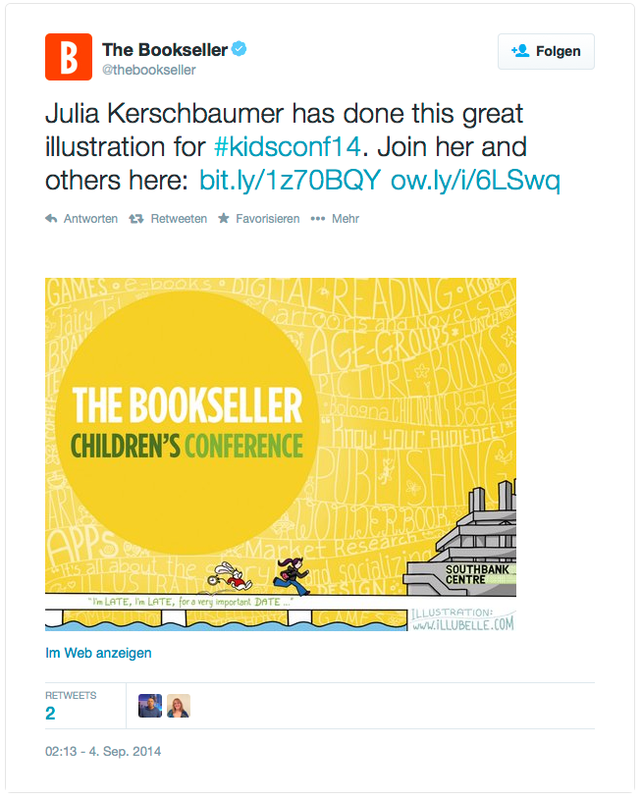 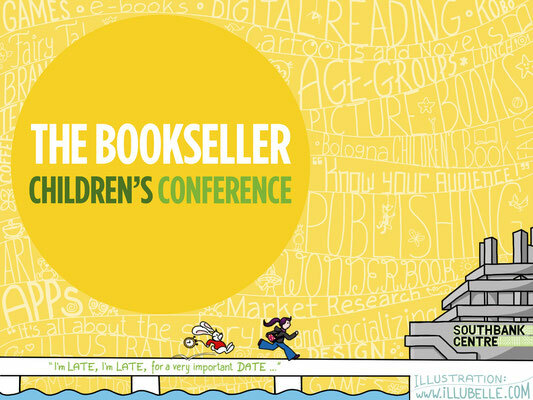 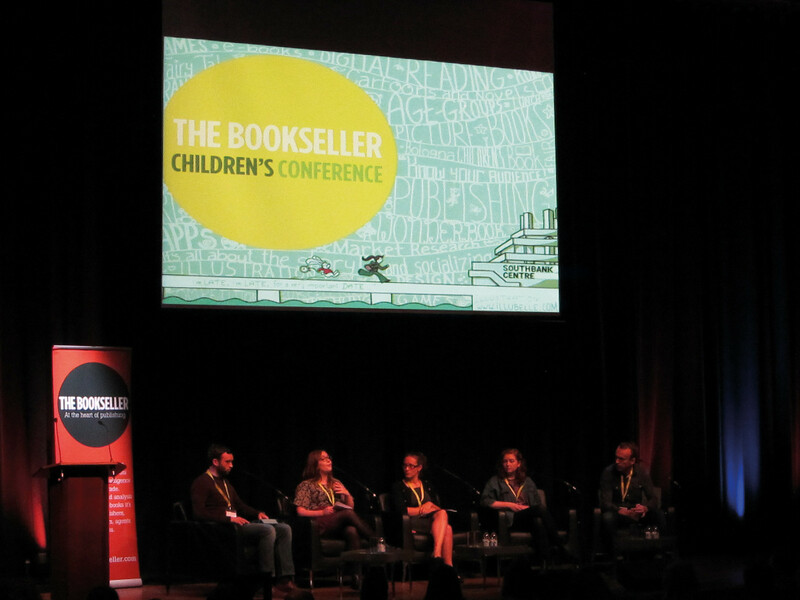 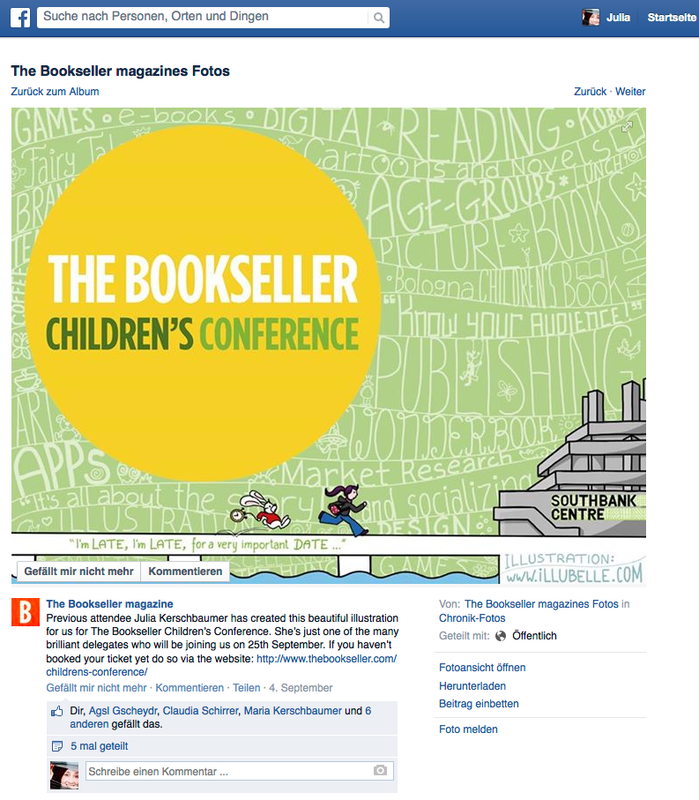 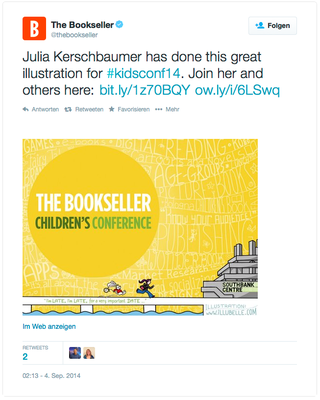 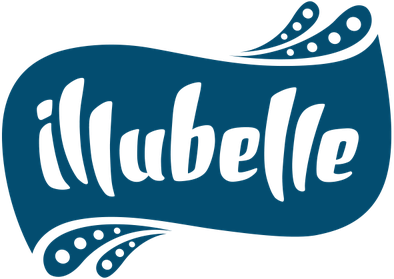 The Bookseller Children's Conference is one of the biggest international conferences about children's books in Europe. 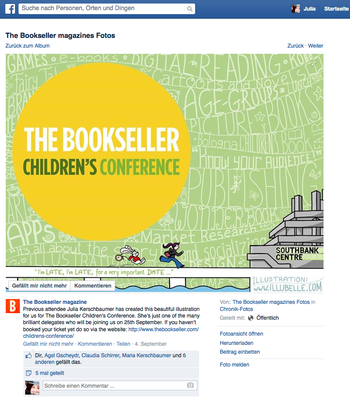 My illustration was used in three different background color versions for their social media marketing, on the screen during the conference and it was also printed in The Bookseller magazine.